A professional drifter and mad mechanic has created the supercar of your dreams. Daigo Saito is nothing short of a mad man. The professional drifter has turned a Nissan GT-R into a beastly drifting machine. Before you ask, no, this Godzilla no longer features all-wheel drive. 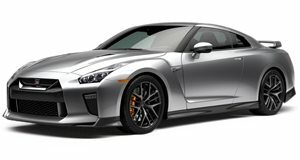 That was scrapped in favor of a rear-wheel drive setup so that the GT-R could actually drift, not just lightly slip and slide. Nothing about this GT-R is “normal,” and that’s a good thing. Its body kit is paper thin and there are pipes coming out of the hood! Win or lose, Saito and his drift GT-R will be making some serious noise in Formula D this year. Check out this beautifully shot teaser video to see his custom creation in action.